This review is the first one I done before the record actually came out, and only a few connected to the production of the album have heard it. to, and that I bought just for the sake of keeping my collection complete. I know only a few artists who could, and can get away with that. I’d rather hear Elvis sing a Beatles tune than the fabulous four themselves. the depressing monotonous raspy sound of scruffy Bob himself. Another singer who made covers his very own was Ray Charles. the The Everly Brothers instantaneously. Daryl Hall, John Farnham, Russ Taff, Steve Perry just to name a few. Voices so captivating, distinctive and demanding, they’re kinda like cuckoos, in the context of taking someone’s nest and making it their own. Michael English to me has that rare gift too. Michael’s take on Albert Hammond’s ‘When I Need You’ on the ‘Freedom’ album is another one that to me proves this fact. still do, and do well. better you can hear that Jay Demarcus (of Rascal Flatts) produced the album. English! It’s a great way to get this thing rollin’. call them things because they are hard to describe…a Taff act to follow so to speak. on a rather straightforward gospel song, it is anything but ordinary. Have Jesus’. The words were actually written by Rhea F. Miller from Brooktondale, NY. how he used to say he would rather have Jesus than all the gold and silver in the world. Rhea wrote the words to ‘I Rather Have Jesus’ with that testimony in mind. from the original melody line and it is just right! sings ‘I rather be faithful’.Why didn’t I think of that? The title cut is a song most recently done by Montgomery Gentry, the country duo. Gospel Quartet The Thrasher Brothers. have less of a country twang, for me personally that is a tremendous plus. Michael and ‘Queen of Soul’ Aretha Franklin. teamed up with Crystal Lewis to breathe new life in this song. and he stumbled upon this channel that had Crystal singing ‘I Rather Have Jesus’. Lyrically this song not only does capture Michael’s journey to Grace,but sums up most of our personal journey’s too. sit still, and listen to God’s voice. A moment that later proved to be a pivotal one, a turning point. Aerosmith’s Steve Tyler would do, the first time I ever heard him do this thing. Crystal and Michael voices are an excellent match. again blues singer/songwriter Jonny Lang. I have a few albums by that guy, and he is one of my favorite artists right now. the modest and sincere quality of this song. would be a remake on this album. not! I’m here to tell you that, some people do change!!! The lyrics have not changed, but the brother singing it has. acknowledgement, a declaration of independence through dependence for us all, through Christ Alone. to hear it for yourself, but I was deeply stirred by it. eternal when Michael recorded this one. the transition to the modern-day version of this classic is spot on,done in great taste and with much vigor. Chip Davis, Jay Demarcus, Gaither Vocal Band and Gene McDonald provide the vocal backdrop. The vocals arranged by Michael and Chip, and it shows, no one, other than those two have a better ear for this type of stuff. His interpretation of this standard is so refreshing! The best version I ever heard! You Be There’ that was on the soundtrack of the movie ‘Free Willy’. because it is so recognizable and it fits Michael like a glove. Carrie Underwood’s no 1 hit ‘Jesus Take The Wheel’. of describing personal battles and what is needed to overcome them. like it was, it is probably written for you too. frail,soft and vulnerable sound is where his genius and brilliance really surfaces. that even banjos are suddenly sounding fresh and funky. what I always look for in a record. I love this album, there is not one song that made me wanna hit the skip button. me overcome them, my relationship with Him. I can trust Him to help me through whatever comes. because it takes me away from the people I love the most. grateful of the Grace that brought him back to that very stage! 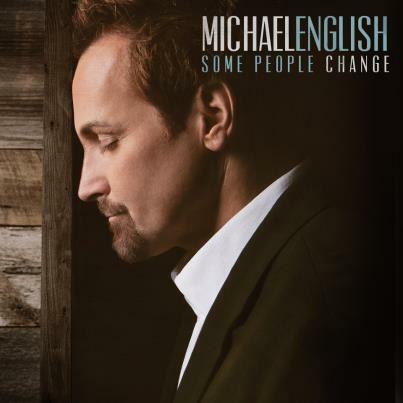 I’ve heard Michael English himself on this album, and haven’t heard that in some time, now that may sound contradicting, considering he’s singing other people songs only. The following quote by William Ralph Inge might better express what I’m really trying to say. “A man is never so truly and intensely himself as when he is most possessed by God. Well said and appreciated Auke!! I’m so encouraged through all that I’ve heard from and about Michael English!! I thank God for his sincerity!! It’s evident and comes across well through his music and life! He tells his story or makes another’s his own. I draw from that!! I believe him when he says it’s not from his own doing but through trusting God. That kind of trust will always bring His blessings, favor and victory in his life!! Also I agree that not every song was written for Michael alone but for us too.. so true!!! That’s was keeps it real for me in my own life!! I dont’ have this project yet but I do have tons of respect for his music ministry!! God bless you for sharing Auke!! Darlene thanks for the kind words, it’s a awesome album really, and I know once you get it, you will agree. Love you bunches, and we should catch up soon! Thanks and God bless you too! The backing vocals on “I wouldn’t take nothin for my journey now” were myself (Chip Davis) and Michael . They may have added The GVB and Gene McDonald later but Michael and I did them together with Jay DeMarcus first. It was a blast. I agree….it is a great CD but then I’m one of Michaels biggest fans and have been for over 20 years. Jay was an awesome choice for producing because these are his roots! Chip I thought so, I noticed seeing u guys doing it on socialcam (pickin’it out). I’m a big fan of Michael too, yet i would have said so if i thought this was a crap album. Thanks for ur reply..I think your an awesome vocalist and indvidiual! I love the clips of your album man, amazing I want that album too, will it be available on itunes too? ‘Standing in My own Way’ love the messages on the songs, thought provoking stuff, and what a voice! God bless u my brother! I am looking forwarding to purchasing your new album. I have always been a fan of not only your voice but of you determination. I love the title “Some People Change” for I know this is so very true. I also love the words you wrote about being a warrior. I am survivor of severe childhood abuse and of cancer. Through it all, I have to come to realize that God is God. Sounds so simple? It is not – for so many people tried to paint a picture of God to me and it always just did not seem correct. God is more than man can imagine and His ways are always so amazing. I am humbled that God chooses to love me. I am also in awe of the fact that God loves all people. Keep singing Michael for the fact is “Some People do Change” and your voice is a vessel that God can reach out and touch the center of someone and help them to see Him. You remain in my prayers. Love what this man said about Michalel’s new album. So thankful that God is using him to reach . WE love you Michael English & your famliy . God BLess yall!!!!! Can hardly wait to get this C D . I am always inspired by Michael’s songs!!!! My son alys liked your songs,as ateenager. He is 29 yrs now,married ,with two liltle girls. Pray for him,as he has kidney issues,needs prayer. So far he is doing ok,but was told he may need a transplant in 10-15 years. I don’t receive this report! I stand on God’s word.Isaiha 53:5. He needs to get back in church! Pray for him. He very seldom calls me ,have not seen him since March. My son was never distant with me. His wife is a aloof person,adopted from India. Michael, have followed your music for many years, all the way from Goldsboro, NC to Oklahoma City to West Virginia where we have lived for the past 25 years. Now back in Wilson, NC and still loving your singing and praising God for your come back!!!! Auke, I just want to say thanks for this review. I could not agree with you more! I got my mail today…there was the cd…I had errands to run in town, so my first listen was in the car. I was in the drive-thru at McDonald’s while listening to Stubborn…the girls at the window wondered why was I crying? What an incredibly well-written song! (I love inspired lyrics, which this song has in spades.) Just stunning. Would love to hear Michael sing this one live.